Home/Marketing Strategy, Marketing Tips, SEO/Are you using Google My Business? I get many questions especially from local businesses regarding Google My Business. Here is a snapshot of what it is, why and how you should use it. 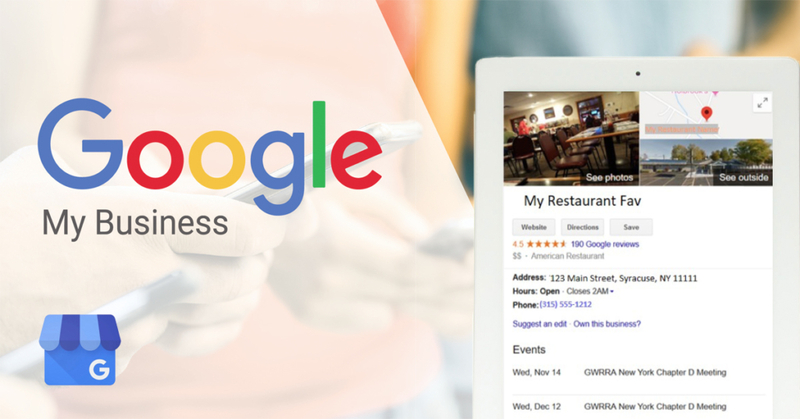 Google My Business (GMB) is a free and easy tool to help manage your business presence across Google. You’ve likely seen listings such as this example and utilize it to find a correct address, hours, reviews and more. 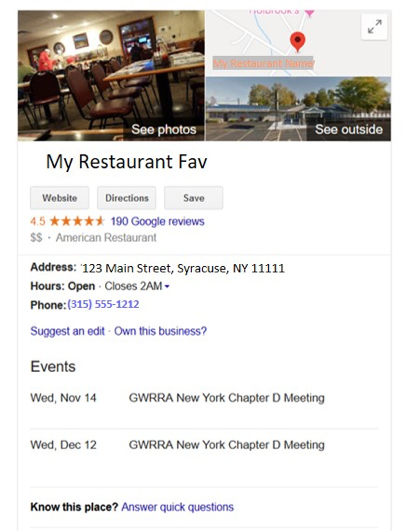 Claiming your Google Business listing is important for many reasons. Claiming your listing allows you to make sure all of the information is correct. Have you ever relied on this information only to get to your destination to find out it is really closed? You can tell your business story the way you want it told and add the photos you feel are best. Respond to reviews. People are going to talk whether you are paying attention or not. This is a great way to thank them for their feedback and respond appropriately in the event of any negative feedback. It is an element in helping your own website rank higher in organic listings. Include posts allowing you to have a bit of free advertising. Have a special or event going on? Many times people will see it here first. Stats and so much more! You can either Google your business name and if it pops up on the right, click on “Own this business”. You can sign in at google.com/business. Lastly, another common question I hear is regarding having a listing but have no idea how to access it now. Start here https://support.google.com/business/answer/4566671?hl=en and this may help you get the information you need. If the answer isn’t here or perhaps a former employee claimed it and you have no idea how to get in, you can also call Google My Business Customer Support directly at 1.844.491.9665. They take calls Monday-Friday, 9 am – 6 pm EST. Just a heads up, it is my understanding you might be on hold for a while to get through. In summary, claiming your listing is important. It’s free and adding in more information will help you bring in more business and enhance your reputation. The app is almost like a CRM and allows you to engage with current and potential customers helping to showcase your business as the experts in what you do.